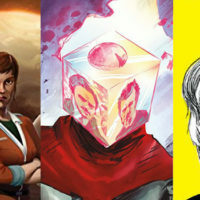 DC/Vertigo continue their Machiavellian ploy of releasing the latest first issues at just $1.00, gradually inclining my monthly comic bill into something that could buy a Third World country. 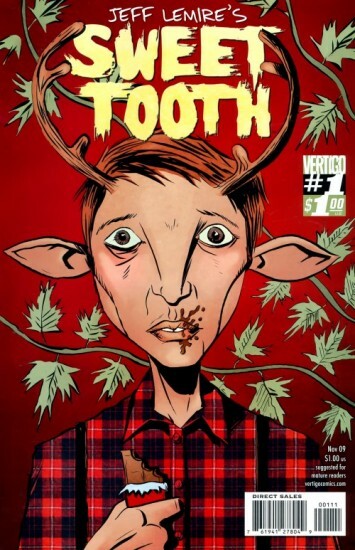 Still, when the new series in question is Sweet Tooth, the lingering new effort from indie writer/artist Jeff Lemire (The Nobody, Essex County Trilogy) it’s hard to gripe. 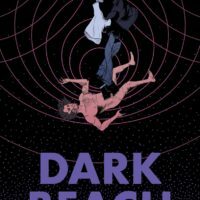 This is one of the most memorable and instinctive debuts I have picked up in some time, and I cannot imagine that anyone who reads it will not purchase the second issue. 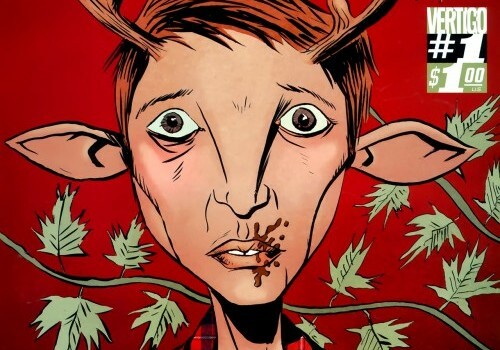 It’s also a particularly difficult premise to summarise, as Lemire tells his tale from such a limited perspective that it’s difficult to know what lies beyond the limited perspective of Gus, a bizarre boy/deer hybrid who resides in the centre of Nebraska State Wilderness Sanctuary. Here he is protected by a kind but ailing father, who tells him never to stray too far from their cabin, as Gus’s kind have been hunted to extinction. 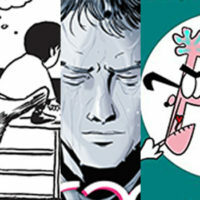 When his father passes away, Gus naturally wanders, initiating the end of his serene existence. 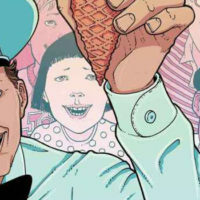 Perhaps the thing about Sweet Tooth that impressed me the most was Gus’s narrative, which flawlessly conveys his level of uneducated naivety and the wonder he still experiences regarding his natural habitat. That it works so well is no small feat; many comic writers attempt to script tales from the illiterate perspectives of freaks/mutants/animals, but the resulting dialogue rarely rises above embarrassing. Mixed with Lemire’s idiosyncratic art, here the result is not like anything else in publication at this moment or any other. Jeff Lemire pretty much delivered the perfect first issue here, giving us such a narrow glimpse of Sweet Tooth’s world that whatever happens next is anyone’s guess. 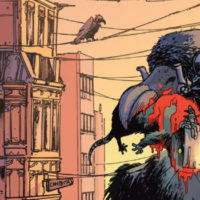 Lemire himself describes this series as “Bambi meets Mad Max”, and I can see Gus’s travels from his woodland sanctuary taking him to unknown marvels as in Spielberg’s A.I.